In these days of people regularly using or owning more than 1 computer keeping the files you need close at hand is more important than ever. 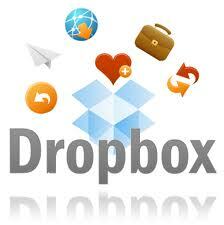 Introducing Dropbox, easily the best file syncing software available for free. Dropbox is a simple and elegant solution to keeping your essential files to hand. The programme is installed on as many computers as you wish to use and you create yourself an account. Once you have done this the dropbox folder will show on your machine in My Documents (windows computers) and can be used in the same way as any other folder on your machine. Sharing – your Dropbox folder is automatically synced to as many machines as you have installed the programme on. If you have a work computer and a home computer and need to move files between the two, simply add a file to your Dropbox folder at work and by the time you get home the file will be waiting for you on your home PC ready to work on. You can also elect to share a portion of your Dropbox folder with other Dropbox users, so when you put your holiday pictures in your Dropbox folder they can automatically appear on your relatives computer. Viewable Anywhere – if you require access to your Dropbox files when you are out and about you can log into your account on any computer connected to the internet and view and download your files. You can also install the Dropbox app for many mobile devices including Andriod, Iphone, Ipad and Blackberry so you can have access to your files anywhere. Dropbox is available for free with 2GB of online storage (up to 100GB available via subscription) and you can earn extra free storage (up to a max of 8GB) by inviting your friends to use Dropbox too. Dropbox is available for free download for Windows, Mac and Linux via the download button below.